Welcome to Stash it Sunday!!! Last week was Easter and unfortunately between trying to get to the families I was also under the weather but I much better and have not 1 BUT 2 awesome collections to show you this week. Both Collections are coming from our AMAZING Sponsor. The first on my list is Aprils Garden by DV Studio. For the people that know me they would know why this is such an obvious choice. My 2nd Favorite color is Pink (First being Purple) and I LOVE Butterflies. Not to mention the elegant pattern to go with it. I think if done right this would make a very lovely quilt for a bed. and perhaps some matching pillowcases!?! lol. Yeah I think this won jumped right up the ladder on my must have list. I just can't get over it. The 2nd collection that I wanted to share with you today is Grape Fruitful Hand by Jacquelynne Steves. With the Farmers Market season starting soon near me this collection is just screaming to be a market bag for our fresh fruits and veggies. MMMM its making my taste buds watering just thinking about it. I love those natural earthy tones. It kinda reminds me of something more vintage. 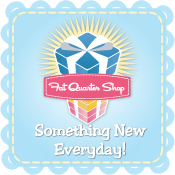 If you haven't had the pleasure then make sure you stop in and see all the amazing collections that Fat Quarter Shop has to offer. 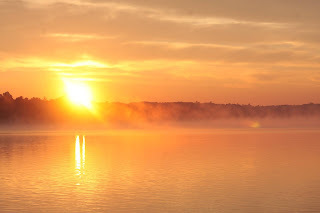 The site is neatly organized so you can find exactly the style of fabric you are looking for.